The purpose of the Olive M. Hilliard Speech Showcase, sponsored by the faculty of the School of Communication, is two-fold. 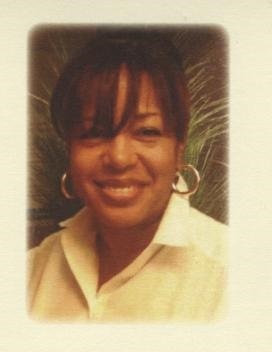 First, to honor the memory of Ms. Olive M. Hilliard, who served as a professor at UCA from 2003 until her death in 2010. Professor Hilliard was a treasured friend and colleague. Second, to recognize our outstanding students in Principles of Communication. This annual showcase spotlights outstanding first and second – year students enrolled in this Core course. The students were selected because they exemplify Olive’s spirit and character (including compassion, friendliness, and a great sense of humor) and delivered an outstanding speech as determined by the faculty. The Olive M. Hilliard Fund was established to furnish scholarships for the winner of our showcase. Anyone interested in contributing to this on-going fund should contact the School of Communication or the UCA Foundation. For more information regarding the fund or the competition, please contact Ms. Staci Fritzges, Coordinator of the core class Principles of Communication. Olive M. Hilliard was an instructor of Writing and Communication at the University of Central Arkansas, where she was respected by her colleagues and admired by her students. Not only was she a lover of the “Arts,” Olive also possessed artistic gifts and a wealth of knowledge in painting, writing, and decorating. One way she was able to showcase these gifts was by her involvement in the Arkansas Black Hall of Fame, where she served as Founding Advisor/Contributing Artist and Writer. Olive delighted in giving back to the community. As a community leader, she served as a Board Member for Habitat for Humanity, Faulkner County; former member of the Arkansas Realtors Association; Faulkner County Board of Realtors; National Board of Realtors; and Coldwell Banker Advantage Realtors. She was also an active member of Delta Sigma Theta Sorority, Inc. Anyone who had an opportunity to know Olive was the recipient of her hospitality. She had the gift of making all people feel welcome. As a child and until her untimely passing, she was kind, gracious, and admirable. She is missed by all who knew and loved her.